ABSOLUTELY THE BEST TUTORING IN Pomona… AND WE’LL PROVE IT! Make sure your academic or SAT tutor in Pomona is fantastic, personal and works well with your child! Don’t take a chance and pay up front. Instead, take advantage of one FREE hour of tutoring in Pomona, no strings attached! We tutor in all levels, K-12 of Math, English, History, Science, and much more. Are you looking for Tutoring in Los Angeles or Tutoring in Pomona? If so, you've come to the right place. 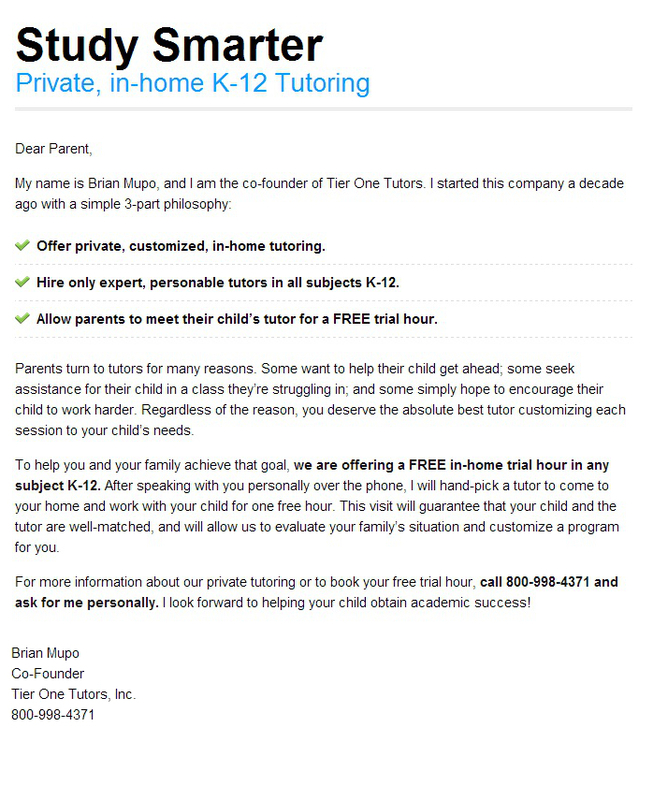 Tier One Tutors is a Pomona tutoring company specializing in all subjects, K-12, as well as AP and SAT Prep. Please Note: Free hour of tutoring does not include SAT Prep. For information on SAT Tutoring in Pomona, please check out our Los Angeles SAT Tutoring Information Page. The city of Pomona is located in Los Angeles County, California and is the seventh largest city in the county. It is situated between San Gabriel Valley and the Inland Empire and has a population of around 149,058. Pomona has a Mediterranean climate with hot dry summer and mild and damp winters. The city is known for Fairplex, which opened in 1922 and is the home of the Los Angeles County Fair. The fair is held during the month of September, but the facility is open all year long for commercial, educational, entertainment, and consumer shows and conventions. Pomona is also home of the NHRA Auto Club Raceway at Pomona. Other popular events in the city include the Pomona Swap Meet and the Classic Car Show. There are many points of interest in the city. These include Cal Poly Pomona, Pomona Fox Theater, and the Auto Club Raceway. There are numerous freeways that serve the area including Orange Freeway, San Bernardino Freeway, Foothill Boulevard, and Corona Expressway. There are also airports nearby including Ontario Airport, Long Beach Airport, Los Angeles International Airport, and John Wayne Airport. There are many famous people that live in or have lived in Pomona. These include Ed Nelson, Mark McGuire, Al Ferguson, Ron English, and Nate Dogg.